Most of us prefer to have a variety of options in life — caffeine or decaf, paper or plastic, regular or super-sized — but some choices are more complicated than others. It seems like just over a decade ago, retirement savers never had to wrestle with the decision of what type of IRA they would use to build their retirement nest egg. But ever since the Roth IRA option was launched onto the scene in the late 1990s, investors have had to choose not only which type of account to open, but also whether or not it makes sense to convert an existing traditional IRA to a Roth IRA. If you're in that camp, you may be facing a tough decision that has an important impact on your retirement. Roth IRA conversions provide you with the benefits of tax-free, not just tax-deferred, growth. 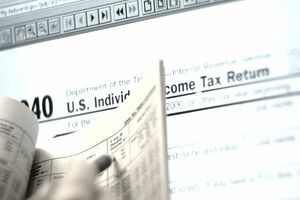 Rather than paying taxes on the withdrawals, you take from a traditional IRA in retirement, qualified distributions from a Roth IRA have no tax consequences whatsoever. That's because you would have already paid the taxes upfront; Roth contributions are made with dollars that have already been taxed. In order to be deemed as a qualified distribution, a Roth IRA distribution must be made after a 5-taxable-year period of participation and occur on or after reaching age 59 ½. The problem with Roth IRA conversions is that when the amount of money being converted from a traditional IRA to a Roth is a significant amount, you may end up paying tax on all or part of the money as if you had made a withdrawal. Depending on the size of your actual IRA balance the taxes due could be a big drag on your retirement nest egg and you must have funds available to pay the taxes due. A Roth conversion could actually bump you into a higher marginal tax bracket for the year you convert. To lessen the impact, you could gradually convert from a traditional IRA to a Roth over the course of several tax years. An effective Roth conversion strategy takes into consideration how much you can convert each year without being pushed into a higher tax bracket. Converting your IRA might only be worthwhile if you are highly confident your tax bracket will go up in retirement (converting now would allow you to pay taxes on the money at your current, lower tax rate). Your retirement time horizon should impact your decision. Think about when you plan on generating income from your IRA. The more time you have to benefit from tax-free growth of your investment the better. If retirement is right around the corner and you plan on relying on your IRA to meet lifestyle income goals you have less time to allow tax-free growth of earnings to work in your favor. A Roth IRA conversion is worth considering if you want to transfer wealth tax-free to another generation. Roth IRAs are not subject to Required Minimum Distribution (RMD) rules during the owner’s lifetime. At the time of death, Roth IRAs will be subject to a special set of mandatory annual withdrawal rules for heirs. Converting might not be worthwhile if you expect to be in a much lower tax bracket when you retire. Don’t forget that state income taxes also have an impact on the Roth conversion decision. If you're going to have to withdraw funds from your IRA to pay the tax on the conversion, consider the fact that your balance will now be reduced. Determine if the earnings and tax-free withdrawals on a smaller Roth IRA balance outweigh the earnings on a larger traditional IRA balance minus the income taxes that will have to be paid on withdrawals in retirement. Any decision to convert has to be based on your personal financial status, current tax rates, anticipated future tax rates, goals, age, and estate planning intentions. You can also get an initial read on whether conversion is something to consider by using an online Roth IRA conversion calculator. Running a few before and after scenarios with an income tax calculator like this one from TurboTax may also prove helpful. You probably won't want to make a final choice solely based on the results. But, you can at least use the results to play around with all the potential variables and see some of the factors that go into the decision. Deciding whether or not to convert IRAs can be one of your tougher financial dilemmas. It is hard enough to predict the future, but predicting what future lawmakers will decide to do with income taxes is also difficult. Taking the time to make the best choice now based on your unique financial goals could mean you'll be in better shape to make choices like "travel or start a new hobby" when you decide to retire.